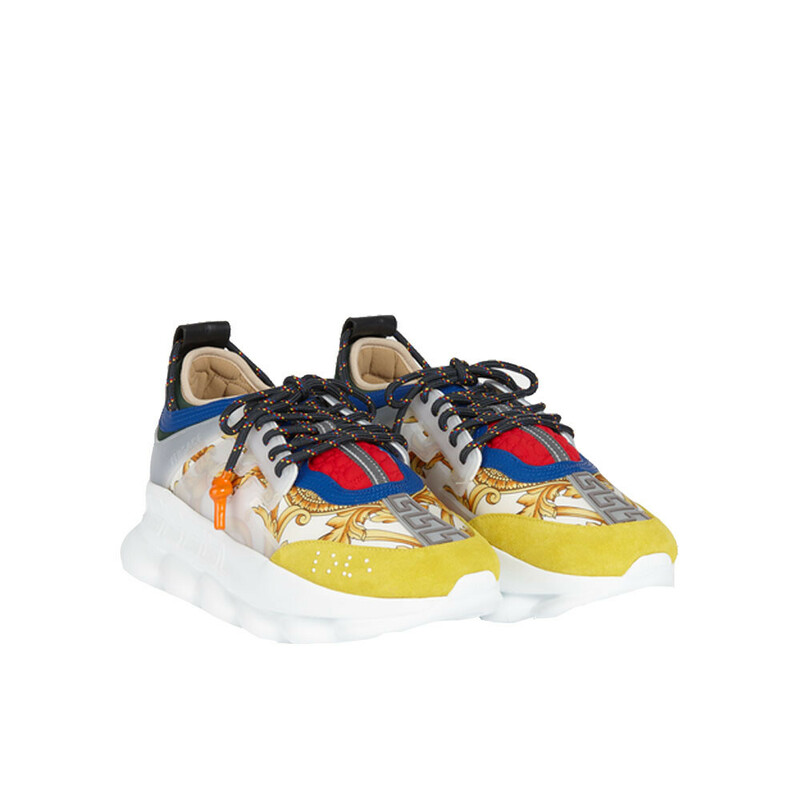 Versace Chain reaction sneakers featuring lightweight, chain-linked rubber sole that takes inspiration from iconic Versace chain jewellery, Iconic Greek Key pattern, the ‘Chain Reaction’ logo patch and braille ‘love’ lettering. Copyright © 2017 Lestyle. All Rights Reserved.